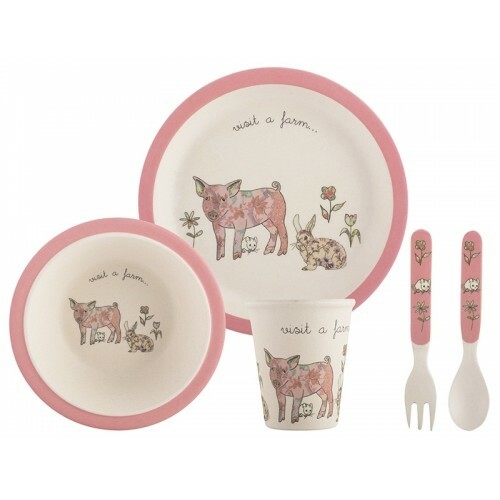 Creative Kids Pressed Bamboo Fibre Kid's Dinner Set is an attractive dinner set for children. The 5 piece set includes: plate, bowl, tumbler, spoon and fork. 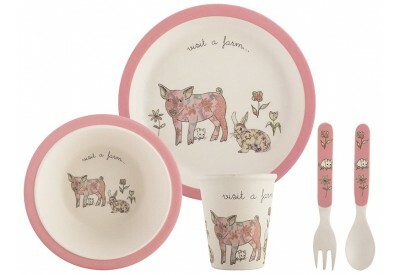 The 'visit a farm' set comes with a charming pig, rabbit and mouse pattern with pink trim!